Regular readers will have noticed the absence of the Apogee Divas in my room, not too long after having reviewed the Martin Logan Impression ESL 11A‘s. This is no coincidence! In fact, I was very close to purchasing a pair of 11A’s. Circumstances led to a different decision but after having obtained such great results with the 11A’s, I couldn’t help but wonder how the biggest model of this series would perform. After all, the Renaissance ESL 15A, part of the Masterpiece series, is the company’s very best hybrid speaker, if you don’t count the extravagant, cost-no-object Neolith above it. 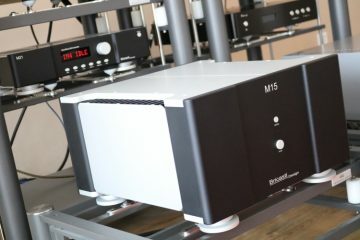 The Renaissance ESL 15A uses two 12″ (30cm) woofers per cabinet, driven by two independent 500 watts class-D amplifiers. The two bass drivers are smartly driven in a part bipolar, part dipolar configuration. For part of the bass range the two drivers are used in a bipolar configuration meaning that they are both in phase, meaning that they both extend outward while for another part of the bass range they are in dipolar configuration, in reversed phase, meaning that they move in unison, as a dipole planar speaker would. With this technique, they effectively counteract rear wall reflections. These speakers produce extremely powerful and coherent bass, unheard of not only from a hybrid speaker but truly reference class in its own right. 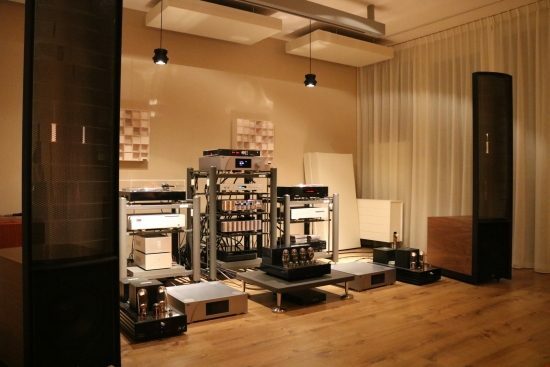 The low-pass filter for the woofers is controlled by 24-bit Vojtko DSP, with the option to further optimize the frequency curve of the woofers using Anthem Room Correction technology. The frequency range is quoted as a staggering 22–21,000 Hz ±3dB which judging from the listening sessions I am certain they actually achieve, this is not just marketing speak! The ESL 15A’s are wider and taller than the 11A’s, and a lot heavier. Rather than being titled back like all smaller Logans, the ESL 15A’s stand straight up in a perfect 90-degree angle. I was told that new Logans need hundreds of hours for running in and that they wouldn’t sound very good when new. 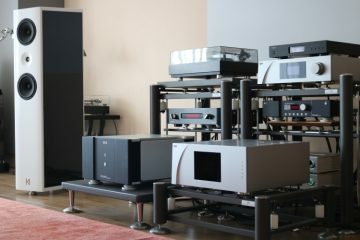 Still, that did not stop me from starting the first listening session right after connecting them to the NuPrime ST-10 power amp. 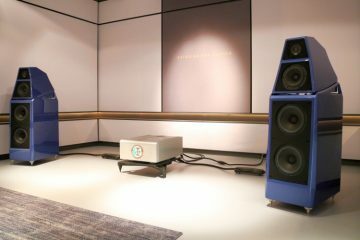 Cold from their boxes, set up in the same positions as the 11A’s, contrary to expectations, the speakers sounded utterly smooth, relaxed and full-bodied, with absolutely no sharpness. But they were quite dark and not very articulate. The bass was a little boomy and at this time did not seem to reach particularly low. The smaller 11A’s definitely sounded airier, richer and more voluptuous. At this stage, Dutch distributor Jan Legel informed me that the very 11’s that I had reviewed had also needed copious amounts of playing until they fully opened up. So, running in is a real factor to consider but that makes perfect sense. 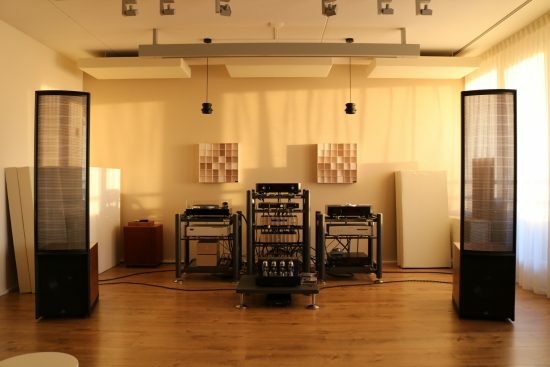 Each cabinet houses two enormous woofers with very stiff spiders and surrounds and the built-in amplifiers and analog filters are also brand-spanking-new. It’s no wonder that all these components would need some time to break in mechanically and electrically. So, I ran them in using a variation of music for up to 10 hours per day, for almost two weeks. Now and then, I would sit down and assess the development of the sound. As it turns out, the process is quite linear, with the first improvements being audible around 2 days in, at the 15-hour mark. At this stage, treble had become a little more open and the music breathed more freely. The bass did not change until later. It was already powerful, and from the start exceedingly well-connected to the electrostatic panel, but lacking propulsion all the way down. At 55 hours, however, the bass started “ripening” in its upper range and seemingly filling out more all the way at the bottom. Meanwhile, the treble opened up further and the whole sound became lusher. At 66 hours the bass seemed to finally have settled in, with rich and full low notes and no more emphasis on the midbass. It’s at this point where the midbass switch could be changed from 0 to its +2 setting, just as it worked so well for the 11A’s. At 77 hours, finally, the speakers seemed to have settled entirely, with a very even spread of power and an overall relaxed, yet highly transparent and revealing presentation. The foil’s behavior (or the crossover driving it) had not altered perceptibly anymore over the last 20 or so hours and at this stage, it seemed to me that further running in would yield diminishing returns. 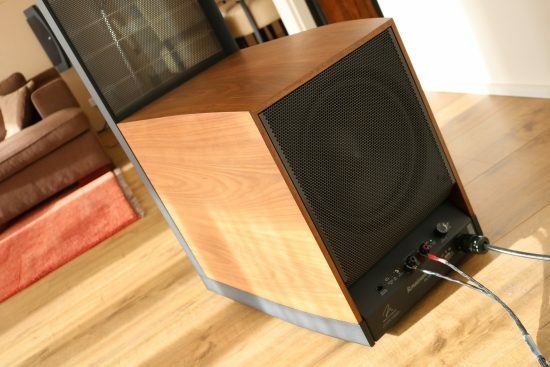 Before I dive further into describing the sound of the ESL 15A’s, let me explain a little bit more about my experience with the kind of speakers that I used for over a decade: Apogee and Magnepan magnetostatics. The thing with large dipoles such as these is that their bass is very pure and precise and can go very low indeed, but lacks attack and real impact, compared to many dynamic speakers. The Divas, in particular, go deeper even than some subwoofers, but never really lash out when they need to in the upper bass. This was the main reason for my wanting to part with these speakers and to start exploring other speaker options. The Martin Logan ESL 15A’s go straight down to the lowest possible frequencies but rather than holding back in slam anywhere in the frequency range, they actually keep on pushing with equal pressure from the upper bass all the way down to 22hz. Their immense reach into the frequency depths is clearly evident in electronic music such as dub-techno and modern R&B music that often contains very low bass-synthesizer lines. Once used to the ESL 15A’s, it is an absolute deception to listen to most other systems, as the bass will invariably not be as deep, as articulate and clean or as powerful. After selling the Divas, I purchased Wilson Watt/Puppy 8 primarily to address my craving for dynamics and bass punch, and these wishes they certainly granted. However, in my room, which was at this stage pretty difficult, some of the lowest notes were reproduced on the Wilsons with clearly less power than those one octave up, or simply vanish altogether, while some upper bass notes excited certain room modes that made for a boomy sound. Naturally, this was not the Wilsons’ fault: these were the result of room modes and nulling but even so, the Logans had to deal with the same circumstances. Even when placed not precisely, the ESL15A’s reproduced all the bass notes with equal pressure, from the tricky lower midrange/upper bass all the way down to the lowest notes that can be reproduced by digital equipment. Naturally, the Logans are different in that they have closed cabinets rather than the Wilsons’ ported ones. But still, even taking the room-speaker peculiarities into consideration, there is no way around the obvious difference in bass linearity and overall quality between these speakers. But it’s not just the bass where the ESL 15A’s are so great, they really are great all around! The Wilsons are bolder, spicier and more dynamic but they can be a little rough and, in my room at least, don’t sound as linear as the Logans. In a perfect room, the Wilsons’ bass can actually be great, but most Wilsons that I heard in other circumstances, as well as pretty much all other dynamic speakers using a cabinet, especially ported ones, do have some peakiness/forwardness/boominess and/or colorations in certain places that can be pleasing but are simply not there with the Logans. These speakers’ entire frequency range just seems to be ruler-flat. Wilson WATT/Puppies are no small speakers, but compared to the ESL 15A’s big-booty bass cabinets the Wilsons almost look cute and petite! Because they’re so beautifully proportioned, however, the ESL 15A’s appear to be only slightly wider and slightly taller than the 11A’s. When looking at their well-shaped bums and the mighty 12 inch woofers that they contain, it is very obvious that these are very serious speakers. But their clever design prevents them from visually dominating the room. I had several amps at hand for comparison with the Logans. Since the NuPrime ST-10 was used for the running in, and it seemed to drive the speakers very well, I also kicked off the serious listening sessions using this amp. I was already super impressed with the ESL 11A’s, but the ESL 15A’s manage to further improve on them, considerably, I might add! Not only do the ESL15A’s reproduce world-class bass but the integration with the electrostatic panel is also exemplary. These speakers are incredibly coherent, more so even than the Wilsons. While Bass-Foil integration has been an often discussed trade-off of hybrid designs such as these for an otherwise spectacular sound, with the ESL 15A’s I really can’t imagine anyone being bothered with the transition anymore. Granted, you could still say that the bass has a different character than the midrange, the former more voluptuous and the latter more ethereal but the transition between the two is absolutely not audible. In fact, I’d say that these hybrid speakers are more coherent than many traditional multi-driver dynamic speakers. 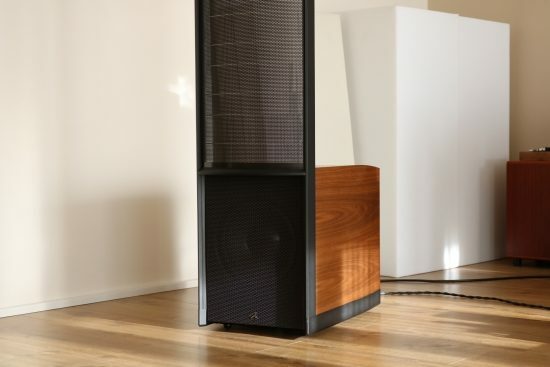 Although Martin Logans are typically more immediate and articulate than full range magnetostatic dipoles such as Apogees and Magnepans, the Wilsons are more expressive still. For all their detail, immediacy and transparency, the Logans are quite smooth and relaxed. This makes them perfect for partnering with enthusiastic sounding equipment and that does not necessarily mean ultra-expensive stuff. 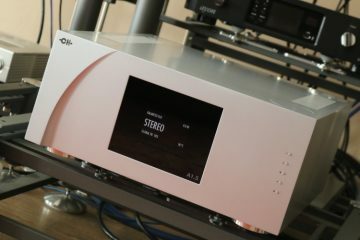 The NuPrime ST-10 is a perfect example and it is really incredible what this amp achieves for only 1600 euro. Being very lively and dynamic, with great timbre, it really brings the Logans to life. To run Anthem Room Correction (ARC) with the Logans, you need to purchase a PBK (MartinLogan Perfect Bass Kit) for 149 euro. 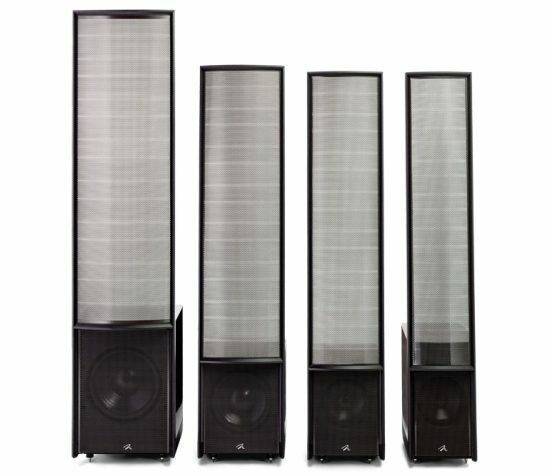 The Martin Logan microphones are fully compatible with Anthem Room Correction for MartinLogan speakers. The ARC software can be freely downloaded from The Anthem website. 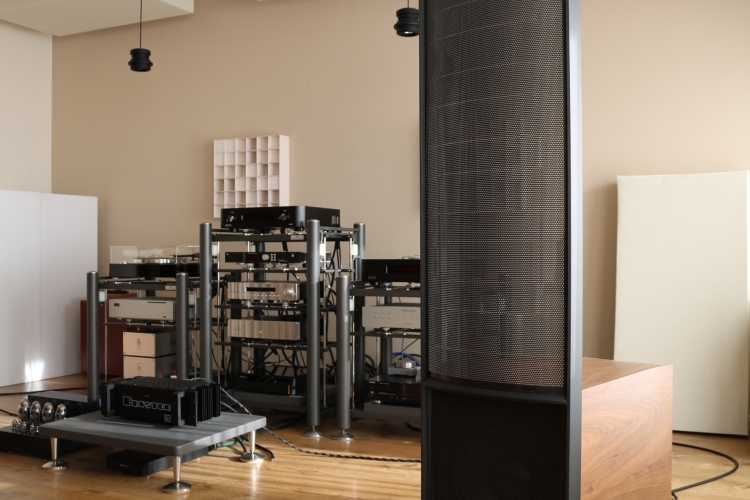 The measurement process is simple and painless, and after the measurements, the optimized curves are automatically uploaded to the speakers. 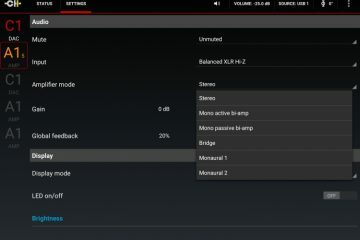 After that, ARC can be switched on and off using a button on the back of the speakers. ARC is most beneficial when the speakers are set up in non-ideal positions but even when situated nearly in the middle of the room as is the case in my listening room, using ARC still results in an even more linear and cleaner bass. I could not really decide which I preferred, though. ARC indicated that there was a bump down below which can be flattened perfectly, but somehow I found the adjusted sound a little lean, even if it was more accurate. The 11A’s benefitted much more clearly so it seems that the ESL 15A’s, in this room at least, do not really need much, if any, adjustment. This is ultimately a matter of preference, however, and it is certainly great to have the option. 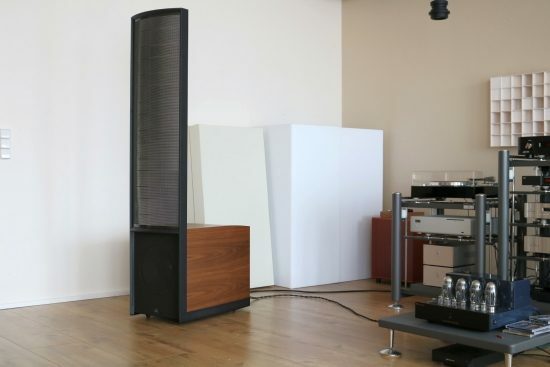 It has often been said about Martin Logans that as far as electrostatic foils are concerned, wider is better. After all, the air is excited over a larger area and the foil has slightly more room for movement. And indeed this seems to be true. What the ESL 15A’s improve on over the 11A’s is not only in the bass itself: it’s also the transition between bass and mid/high frequencies and the sublime “oneness” of sound that these two very different drivers achieve. The ESL11A’s had a slightly lean midrange that could be minimized with careful adjustments of its controls, but the ESL 15A’s just don’t have any inherent leanness and simply always sound coherent. The ESL 15A’s also improved on the 11A’s in terms of overall richness and in midrange timbre. The ESL 15A’s bass drivers might also be partially responsible for this but it seems that another advantage of the larger foil is that acoustic instruments sound more realistic than they did on the 11A’s, or other, smaller Logans. And the ESL 15A’s simply never ever become aggressive, even when playing at hurricane levels. The treble is always clean and fluid and the midrange smooth and rich. No matter how soft or how loud they play, these speakers really are incredibly well-behaved. 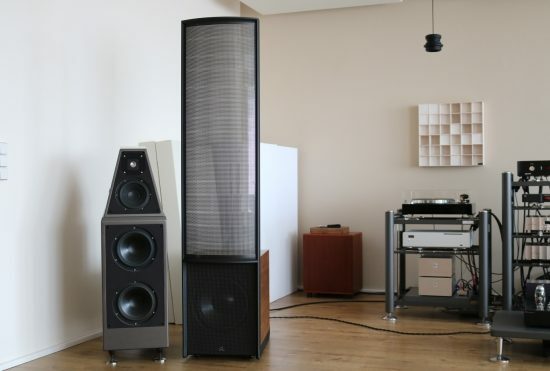 Finally, as a bonus, having such tall stators prevents treble fall-off and makes it possible to stand up and walk around the room with all the treble air and openness intact. There is apparently also a flipside to having wider foils because the focus with the ESL 15A’s is slightly less razor-sharp and the soundstage layering in the depth plane less precise, than with the more narrow 11A’s. But that’s it: other than this, the ESL 15A’s are uniformly and very convincingly outperforming the 11A’s. Don’t take only my word for it though: my listening buddies all agree: these are the very best Martin Logans that they have ever heard. Even buddy Mark-Paul, who typically prefers cabinet speakers was much impressed. Source and Amp changes – do tubes apply? 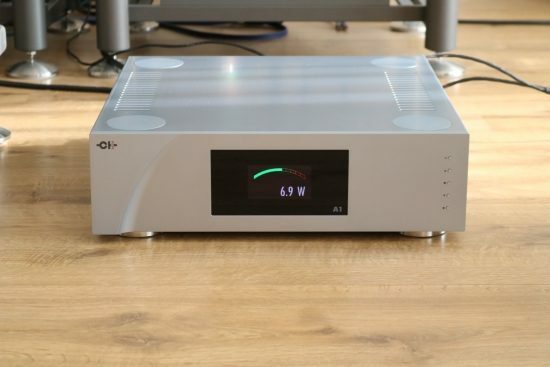 All the music servers that I tried worked very well, but the Ayon CD-T II CD transport so far was definitely the best source, making for the most impressive and lively delivery. 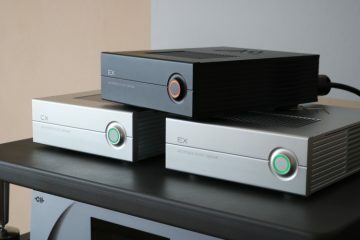 So far I used the Jeff Rowland Corus + PSU preamp and the Aqua Formula xHD DAC. 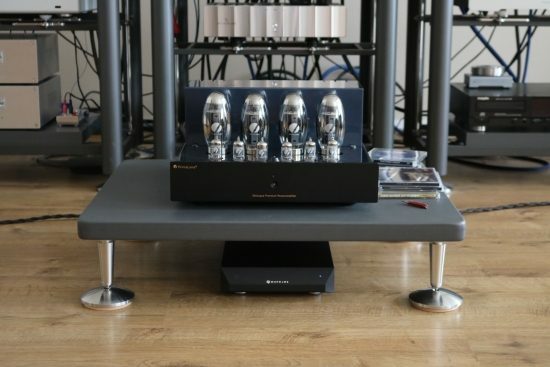 Switching from the NuPrime amp to the PrimaLuna DiaLogue Premium tube power amp with KT150 tubes marked a very first instance in which this amp did not quite partner so well. 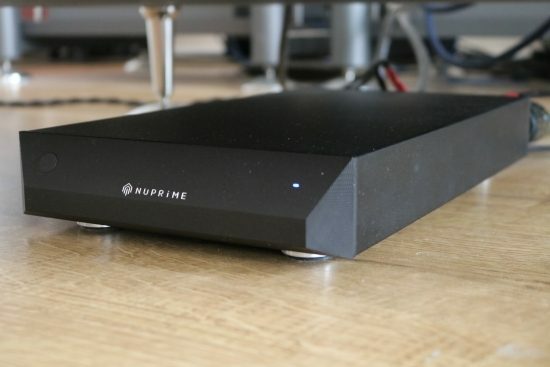 The PrimaLuna has a modest power output but so far it turned out to punch way above its weight, even driving the Apogee Duettas remarkably well. So why would it not work so well with the Logans, especially since they don’t require much power at all? The thing is: their impedance drops very low in the high frequencies. This is a conscious choice made by Martin Logan, to make the speakers perform well with the majority of transistor amplifiers out there. Transistor amps are not bothered by this at all since there is almost no power required to reproduce sounds in that range. Many Tube amps, however, have higher output impedances than typical transistor amps and so they behave differently, their output impedance effectively shaping the speaker’s impedance curve into a frequency curve. The audible effect with this particularly tube amp is a midrange that is impressively smooth and lush but lacks sparkle and energy and a treble much darker than it should be. It’s not an unpleasant sound at all and audio buddy JW was actually quite fond of this combination but I would not call it a linear, upbeat or articulate sound. The PrimaLuna is a Push-Pull design so Single Ended Triode designs would also not apply. Indeed, I’ve tried three different SET tube amps with other Martin Logans in the past and this has lead to similar results. As this is a matter of output impedance, not a matter of power, this means that a tube power amp with more tubes does not necessarily work better unless it also has very low internal resistance. 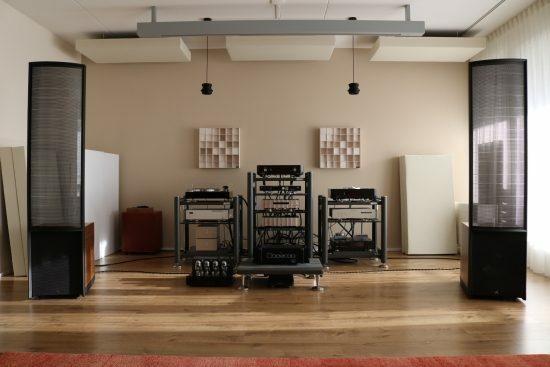 An audio buddy with Jadis JA-200’s, however, drives his Martin Logans with superb results. And my own experiments using two PrimaLuna DiaLogue Premium HP power amps in bridged mode also yielded fantastic results with a friend’s Martin Logan Spires. So, tubes can definitely apply, but the match needs to be made carefully. 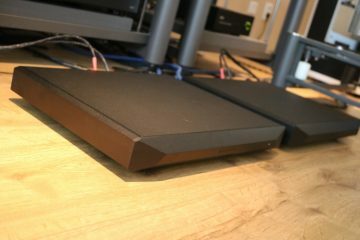 Returning to the NuPrime amp and connecting the Ayon Stealth DAC/preamp instead of the Corus, however, lead to very interesting results. Although the Stealth cannot match the Corus’ insanely refined and transparent sound, it does sound very powerful and richly colorful, and this also worked very synergetically with the Logans. 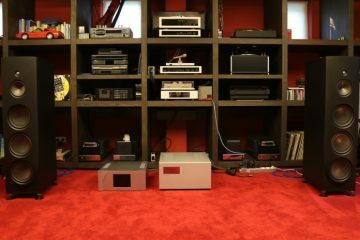 At this stage in the review, I also had access to a set of very fine Swiss electronics, consisting of a CH Precision C1 DAC/Controller and two CH Precision A1 amps. These components have mindboggling pricetags, but boy, do they justify their cost! I mentioned before that these Logans do not require ultra high-end equipment to sing beautifully. They tend to sound sweet and smooth irrespective of the rest of the setup, but their inherent high resolution means that they do definitely let you know in no uncertain terms when the electronics have stepped up a notch, or six! The CH components really play to the Logans’ strengths, with incredible resolution and evenness and utter transparency. In addition, they do not sound clinical in the least, they actually have a super-natural timbre, and even more, make a showcase for the ESL 15A’s incredible bass performance. As good as it was with the NuPrime, the sound was now entirely of one piece, utterly coherent, so precise and perfectly neutral, yet incredibly believable and realistic. These CH Precision components have the uncanny ability to sound impressive by not trying to sound impressive at all. in a way, they sound so “normal” than it is easy to dismiss their quality until you revert to the old situation! This was the antithesis of an electronic sound and it takes no time at all to conclude that this performance is simply fully in balance. There are no more ifs and buts, and all that remains is to enjoy the music! 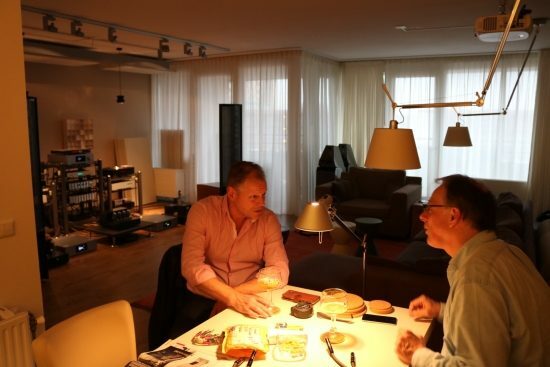 Garmt van Zel of AudioIngang, who installed the CH components for review, was just as much in awe as I was and together we listened to all sorts of music for hours on end. By the way, should you decide to try this particular combination: the CH Precision A1 amplifiers allow adjustment of the balance between local and global feedback and the ESL 15A’s worked excellently with any setting but I did have my preferences. While the bass was most articulate with a setting of 40%, I tended to prefer 20% as the best overall balance between lushness and articulation. The Renaissance ESL 15A’s are simply the absolute best Martin Logans that I have heard. They have seismic yet superbly articulate and very even-handed bass, coherence to rival the best multi-driver dynamic speakers and incredibly transparent and super-refined, yet smooth and gloriously rich midrange with precise, fluid and airy treble. These speakers combine so many audiophile tricks and weave them together so very well that it becomes a hardship to return to other speakers. I was actually very close to buying them indeed but ultimately decided to stick with the Wilson WP8. I’d like to compliment you on the quality of your reviews, from the depth of your detail to the structure, including plenty of relevant product comparison. We’ll done sir. As most of your readers are, I’m a long term audiophile, getting subscriptions to every industry magazine available for decades. 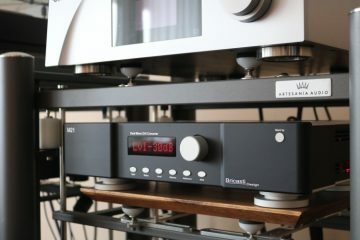 I’ve been scouring the web for a review on McIntosh’s new MC462. Even reading dozens of articles that included the older 452 in hope that I could gleen some info that would help me understand what the new model offered. I’ve been to my dealers that have the 462 and even visited the Mac townhouse in NY. Of course none of that has helped me pick it yet for my new Martin Logan’s. Went from the SL3s to the 15a. I’m currently using them with a bob carver edition sunfire cinema grand which I liked for my sl3s, but guess is lacking for the new set. Any chance you might get you hands on the 462 in the “near” future?? Thanks Marc! 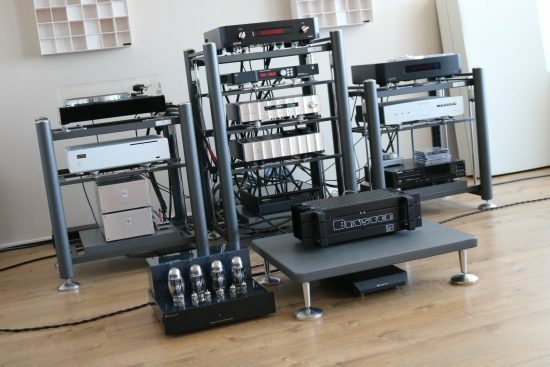 Ah, yes, the blue eyes, who doesn’t love them:-) I’ve only owned the MA6900 and while it went great with the SL3’s, I found the Jeff Rowland Coherence II + Model 6 mono’s to sound a lot more refined and airy and also more clearly layered in the depth plane. The Mac, however, had fuller bass and was more colorful overall. The current distributor in the NL is not very cooperative so chances are slim that I will review a recent McIntosh any time soon. That said, I really would recommend trying one of the Bryston Cubed series amps, such as the 4B SST3. They really surprised me. Do a search on this site for Bryston and you will find the articles. Also: bass is lacking with the 15A’s? Are you sure that they are fully run in? My review samples also took ages to develop down there. Thanks for the response, bummer about not getting macs over there. I only have about 20-30hrs on my 15a’s. I certainly read your write up with great interest regarding the long break in time needed. I don’t feel that the bass is lacking per se. Tough for me to compare, as they have a lot more than my SL3s did of course. My conclusion really came from how you described your 15a’s sounding when connected to the higher end CH amp. They sound like how you described the position you were in with the NuPrime amp. Macs have always been highly recommended with Martins, and the 462 sounds like it has the most impact yet of any Mac amp…. I see. Ok, well give it time. They will definitely fill out. But the 15A’s are also quite neutral and linear, perhaps more so than the smaller 11A’s. So I understand your desire for matching with a big Mac. 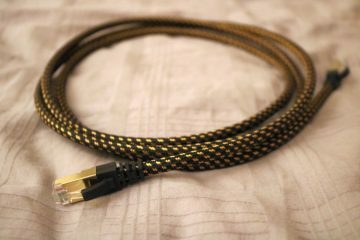 In my quest to find a review of the new McIntosh MC452, (relates to this review because I’d like to possibly pair it with my ML 15a’s), I came across the first “review” of the 452. I quote review because it might be the worst quality review I’ve ever read. Not sure if something is lost in translation to English, but the reviewer simply takes two of Mac’s marketing points: Dynamics and power and adds a few words around the marketing hype to fill about 4 paragraphs. Really disappointing. I mention it only because it highlights just how great a reviewer Hifi-advices’ reviews are, and it makes me long for Mac to send Christian a unit. Thanks for the link Marc, that review is a bit limited indeed but it does mention than the amp is not only warm and powerful but also refined. The latter aspect is interesting because I found the MA6900 to be lacking in that area. Then again, audio lingo is a highly relative matter and not all reviewers use the same words for the same aspects of sound. Also, I wonder if one really needs 450 watts. The 15A’s absolutely went more than loud enough with the CH Precision A1’s that are “only” 100 watts. Their meters did go up to 130 watts or so on occasion if really pushed but that was when already playing at volume levels where I am sure all the neighbors could also enjoy my music. Something else that I’d like to stress is that dynamics are not about playing loudly. It’s actually about being able to play effortlessly from soft to loud. But more importantly, the perception of a dynamic sound is not always the same as an actual dynamic sound. Very fast transients, for example, can make something sound very dynamic when in fact the dynamic range might be quite limited. An amp that is specified to have a very wide dynamic range may not really sound like that at all, for example due to hysteresis (transformer-induced slowness) or rounding off of transients due to other reasons. Even amps that have insanely high slew rates need not actually sound very fast or very dynamic. The reality is that published measurements don’t really tell the whole story. Anyway, enough lecturing. Even though I have some fear that the MC452 might not be as refined as I would like it too (based on its very high power rating and my earlier Mac experience), you just never know. So when I can get one in for review, I will certainly do so. But it might not be soon enough for you to base your decision on. I made up my mind, I’m going with the Bryston’s, mainly because of your recommendation though also after exhaustive further research. They really seem like the kind of amp that can drive the MLs to fully produce the subtle details and great soundstage they are known for. Now should I go with the equivalent priced 14b3 (equivalent to the MC462 I was thinking of getting), or save a bunch and go with the 4b3??? Price doesn’t matter on that one. I’ll be running the Bryston through my Cambridge 851N in preamp mode for a while till I understand the improvement the amp is bringing. Then starts the hunt for a preamp! Ha, now there’s a surprise! Good for you. I would go with the stereo 4B. I think you’ll find that it has plenty of power but if in doubt, I would opt for the mono 7B’s, rather than the 14B. I’ve not heard the current Cubed versions but have used the older 7B ST’s and I have a feeling that the current 7’s may be smoother sounding than the more articulate 14B and I think you don’t need that with the big Logans. The Cambridge 851N will do fine but can certainly be improved on. It’s wise of you to do this in steps so that you can first see how the combo works and base the decision for a preamp on that. Ha back…. you really are a pro. Yes, I’m a detail nut, I admit, I like sound too accurate,. To me hearing the pianists finger hit the key, is just as great as hearing the key’s sound..lol. Then soundstage (love hearing where in the room an instrument is coming from. Now you know why I like electrostats. I’ll write back with my findings from the A/B. Good that you ask, I seem not to have mentioned the brand for once:-) The 3 racks are Artesania Exoteryc. The lower stand is an Artesania Digital Server Platform.